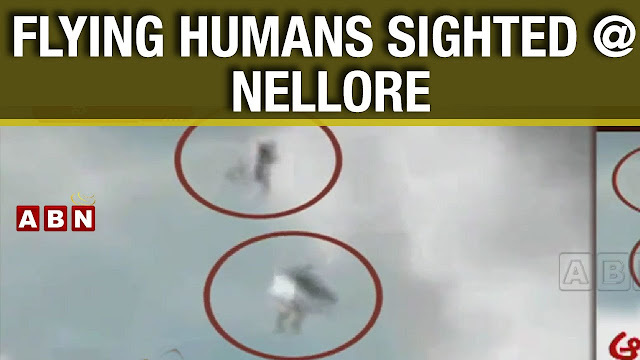 The Nellore people are fearing out of their skins to come out of their homes during the nights and the reason for it is few unidentified bodies are seen flying in the skies and they are looking like flying human beings. These strange bodies are seen flying in the skies between 8 pm and 12 am in the night and few people are saying they are angels while others are stating that they are ghosts. I saw the entity first in native language news channel witness is at the home, neighbours called me and wanted me see the creatures above flying. first he saw one creature landing on window type air conditioner and that time another creature came and took that creature and flyed away into sky after two days first he saw four creatures going one direction and after some time he saw 7 creatures coming from another direction one of tmen in 7 creatures took the hands of one of them in 4 and spined up in the sky playing in pairs(couples) some are emitting light and some are disappeared. another incident appear in the town(nellore) in andhra pradesh state one small type of alien created died on the road with blood on the body.